The Andrew Thielen Big Band performs the greatest songs of yesterday and today with a full big band and great singers. 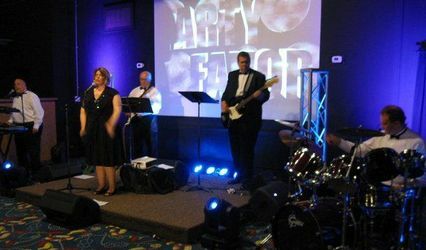 This fabulous band is in demand for weddings, concerts, galas, fundraisers and more from NYC to Florida. The songs you love from Frank Sinatra to Michael Jackson, from Michael Buble to the Temptations, Donna Summer to Aretha Franklin are all here. Played with a sensational 11 pc band. Trumpets, trombones, saxes, full rhythm section and male and female vocalists keep your guest dancing to melodies they love. 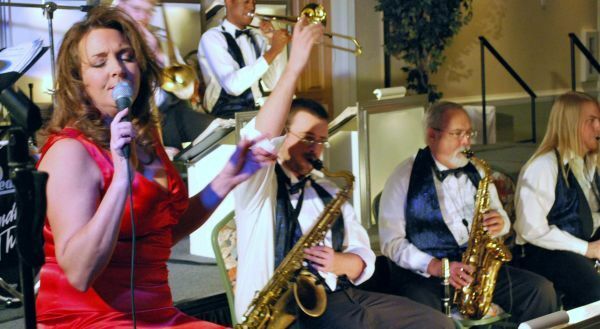 Just google Andrew Thielen Big Band and you will see rave reviews on our big band from brides, wedding planners, concert promoters and booking agents. Call today for reasonable rates. 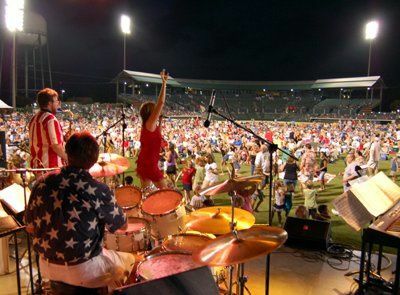 Your guests of all ages will love the band, the class, the look and the rockin, swing, groovin, music from every fabulous artist and era you can recall. 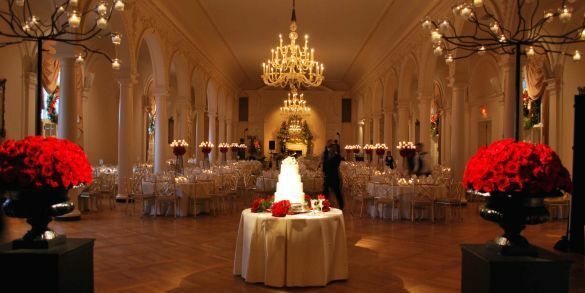 Only book The Andrew Thielen Big Band if you want your guests to dance all night, overflow the dance floor, a band that is beyond interactive with your guests, and looks and sounds out of this world. There are no words to describe how amazing their sound and presentation is. I had a terrible experience with my initial wedding band. They cancelled on me five months out. Andrew was there to save the day. Looking back, my first band canceling was the best thing that happened to me because there is no way they could hold a candle to The Andrew Thielen Big Band. I was a bit nervous because I booked them based solely off their soundbites on their website (which were amazing). I had never heard them live. They were approximately 100x better live than on their website, which I didn't know could be possible. They blew me away. My husband and I have talked about how awesome they are every day since the wedding. Guests were wondering how in the world we found them. 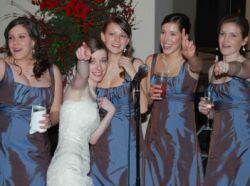 Our one friend who attends so many weddings it is practically his job told us they were the best band he had ever heard. People were dancing the night away until the very last song, and we didn't want it to end! Not only are they AMAZING at what they do, Andrew is an absolute delight to work with. He is so professional, kind, and charming. 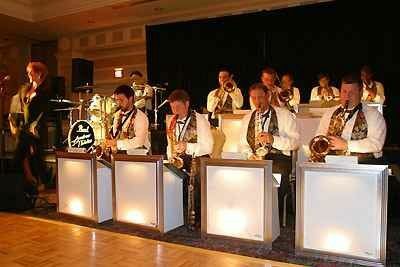 If you want a wedding to remember for years to come, book The Andrew Thielen Big Band. They provide sound in a way no other wedding band can. Wow! Need I say more to give this band credit?! They had a huge variety of music, and they kept the crowd entertained the entire evening. Their sound was superb, and they played at the appropriate sound level for our event. Everyone, young and old, danced until they stopped playing. We couldn't have selected a more fun band to help us celebrate our event, and we would certainly use them again! 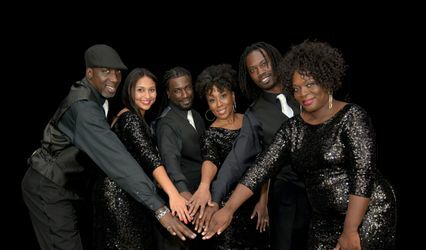 Amazing band...book them asap. I have heard this band at two different weddings and at an outdoor concert. They were sensational. 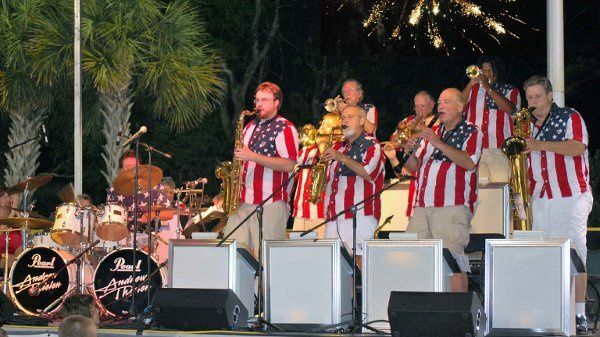 They play a huge variety of music from Sinatra to rock to motown and beach music. 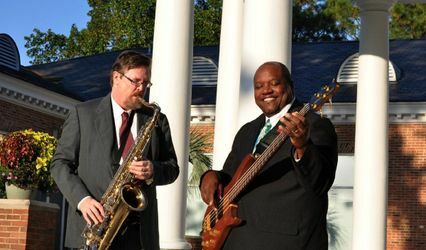 They arrived early for the weddings and played requests that guests asked them to play on the spot. Great male and female vocalists. The dance floor was packed and they involved guests in the whole show.